Barcelona is a dream location, not just for the 1.6 million locals but clearly for the tourists and business visitors who flock there by the millions each year. Property prices are perking up, and property investors’ attention is refocusing on Spain. As you’ll see, now is a good time to buy property in Barcelona. But for the income investor seeking the high yields of short-term leases, you’ve got some new emerging challenges. Barcelona has many well-known attractions such as its exquisite Modernist architecture, the Gothic Old Town, galleries, monuments, theaters, restaurants, and shopping…not to mention 4.5 kilometers of great beaches and boardwalks overlooking the Mediterranean coast. Capital of Spain’s Catalonia region, Barcelona is within two hours’ drive of France and a short flight or boat journey to the rest of Europe. The climate is “easy”—45ºF to 80ºF—with blue skies for most of the year…so you can get out and enjoy everything about the city without fighting the elements, just about every day of the year. No question, it’s a lively, buzzing, cosmopolitan, thrilling place to visit and live in. No question, it’s a lively, buzzing, cosmopolitan, thrilling place to visit and live in. Scratch just beneath the surface and you’ll find even more reasons to invest and live in Barcelona: 85 parks, 105 kilometers of bike lanes, 55 trade fairs a year, and a record-breaking 9 UNESCO World Heritage buildings. According to Turisme de Barcelona ( http://barcelonaturisme.com/ ), the city received 7.5 million tourists in 2013 (by comparison, the entire country of Costa Rica had 2.5 million that year). The figures are not yet out for 2014, but the tourist board is projecting an even better year, based on a 6.8% increase (year over year) in arrivals through August. And the city is not only popular with tourists but also with business people. It is the world’s third most popular conference city, according to the International Congress and Convention Association, and is the sixth city in the world for convention tourism. A huge delegate population comes to a myriad of conferences, accounting for an impressive 50:50 ratio of tourist to business visitors. Added to the tourists and business people, Barcelona also hosts major sporting events such as the final phase of the FIBA Basketball World Cup, Formula One, the Spanish Open (golf), the Barcelona Open (tennis), polo, sailing, baseball, and of course the incredible Camp Nou, home of the Barça soccer team. There seems to be no reason why visitors would stop coming in droves or why the numbers wouldn’t keep on growing. After the crash of property prices in 2008, with the value of property in Spain falling between 41% and 53% (and even as much as 70% in some coastal regions), it seems at last that property prices are stabilizing and even increasing in some areas. According to the latest price index from the Registradores de la Propiedad (Association of Registrars), property prices in Spain rose almost 1% in Q2 2014 compared to the same quarter in 2013. This is the first time that prices have risen in six years. And for the first time in years, we’ve got collaborating statistics attesting to the market turnaround. At the beginning of September, the National Institute of Statistics published its Housing Price Index for the whole of Spain, indicating a rise of 0.8% in Q2 2014—the first increase since the property crisis kicked off in 2008. In the same report, prices of new homes rose by 1.9% compared to the previous quarter. Out of the 19 autonomous regions in Spain, 14 showed an increase, according to the Housing Price Index, with Catalonia (where Barcelona is located) rising by 1.8%. Realtor Lucas Fox’s latest report shows prices stabilizing and transactions slowly increasing since the beginning of the year. “Given the price reductions since 2007, prime city center locations represent excellent value and will be the first to see price rises when they happen. There are great opportunities for investors to buy apartments in prime locations for renovation, which can then be sold on or rented out,” says Alex Vaughan, co-founder of the Lucas Fox real estate group. All data continue to show that Spain’s turnaround has started. For more information, my colleague Rob Carry has recently reported on the topic. See his articles the Return Of The Iberian Giant, and an update on Madrid, Spain’s Energetic Capital. A great city that’s forever reinventing itself…keeping up with demands on its infrastructure, with lots of year-round short-term visitors…this sounds like a recipe for success for a buy-to-let investor. But there’s more to the picture. Individual short-term rentals (of less than 31 days) earn more—about 5% to 6%. And short-term rentals that stay occupied all year (usually in vacation rental buildings or blocks) can go to 8%. These figures came from RtV Grupo Inmobiliario and command much more investor attention than the modest long-term rates. But a blip on the property-investment screen may be about to turn into an unpleasant bulge with respect to these short-term rentals. Until this year, short-term tourist rentals were largely uncontrolled and rapidly growing, with hundreds of property letting portals, such as Airbnb, supporting the industry. 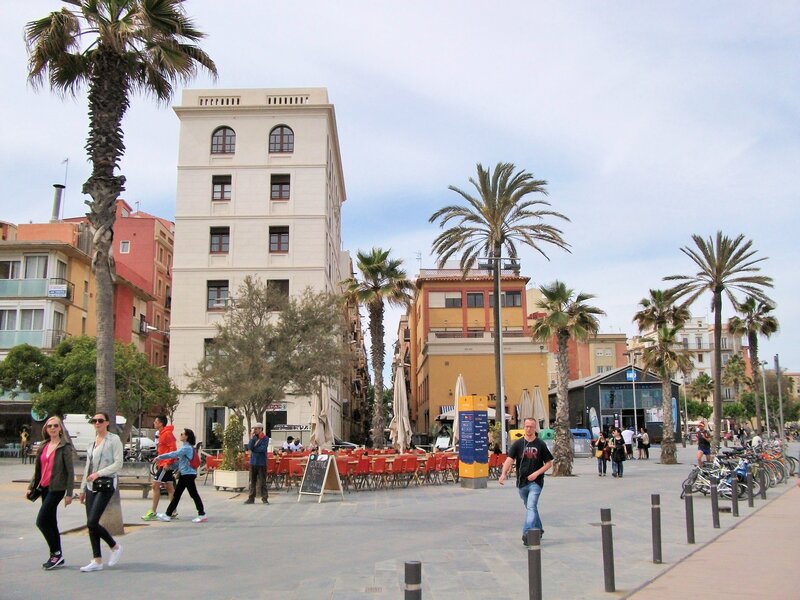 The short-term market had two distinct sides: tourist apartments (apartamentos turisticos) built solely for tourist use and private homes rented out to tourists known as tourist use homes (uso turisticos). However, in May of this year the town hall bowed to pressure from three sides: locals protesting about unacceptable drunken behavior by tourists in apartamentos turisticos; local residency groups’ complaints that there was insufficient housing available for local people; and the hotel industry, which said it was unfair that it had far higher costs and paid more taxes than unregistered and unregulated property owners who let out their homes to tourists. In August, residents of Barceloneta, the area of the city hugging the coast, took to the streets to protest ( http://www.lavanguardia.com/local/barcelona/20140821/54413250547/segunda-noche-protestas-barceloneta-turismo-borrachera.html ) against drunken tourists in apartamentos turisticos. This has all led to the city council taking a Big Brother approach. All short-term letting of private property is now controlled by the council via a license scheme. Not only has city council completely suspended the issuance of tourist rental licenses to property owners in the Ciutat Vella, or Old Town, but it has frozen the issuance of licenses in the Eixample and Gràcia areas of the city while it decides on new controls, which should be announced in October. What happens next is in the hands of the all-powerful Barcelona city council. If your plan is to live part-time in the city in one of the controlled, more popular, areas and let your property out for the remainder of the time, you may be able to do that…but only if the property already has a license. And even if it has a license, it is not guaranteed to last. Follow the link to view a two-bedroom, renovated apartment in the Old Town which holds a short-term rental license until the end of 2016 (when it may be possible to renew). And this cleverly renovated apartment in the Modernist Eixample area has been transformed into three separate apartments, which are currently rented for short- or mid-term use. This is a good example of the Catalan dilemma: The date when the rental license expires will not be known until the city council declares its hand. If you’re thinking of buying for personal use or to invest for capital gain, now is a good time to buy. For a long-term rental (more than 31 days), I’d start looking now before prices really start to climb. For more-lucrative short-term rentals, I’d do my due diligence and check with Barcelona’s ajuntament (city council) ( http://empresa.gencat.cat/en/inici/#8 ) to see if a license is available for any property you’re considering. A reputable realtor can also make the check. Alternatively, ask an independent company to assist you, such as Expat Relocation Services ( http://www.expatrelocationservices.com/ ). If you’re only interested in short-term buy-to-let, I’d wait until the city council has made its decision—probably later this month. Barcelona is a premium, branded city where there will always be a demand. And all data point to the fact that the Spanish market has finally turned the corner. If you proceed with caution in the short-term rental market, it’s a good time to look seriously at Barcelona. Editor’s note: Lucy Culpepper is a freelance writer specializing in issues related to overseas living, including travel, employment, property, and finance. A native of Wales, she has lived all over the UK, in Southern California, Spain, and France, and has spent extended time in South America, Panama, and Costa Rica. Lucy has worked on a wide range of overseas assignments from researcher for a TV film crew in Borneo to mail order catalogue editor in Iceland, Kenya, and India. She has been managing editor of a triathlon magazine and more recently was Managing Editor of Overseas Retirement Letter, published by Live and Invest Overseas. She is now based in the UK, in the beautiful Cotswolds area of South West England. Lucy recently wrote a full report on Barcelona, including a review of the city’s most popular areas, sample budgets, cost of living, transport, things to do, and more. You can learn more about her Barcelona report on this page. I’m responding to a letter from one of your readers, Ricardo, from Sept. 23, 2014. He wanted to know if Almuñécar, Spain, was still a top destination. My husband and I moved from the United States to Almuñécar almost three years ago, and we’re still happily here. You have my permission to forward my email address on to Ricardo. If he would like to come on a scouting trip, we’ll be happy to show him around town. Thank you for your efforts and timely information. I am 58 and starting to cut back on work and expenses. Like everyone, I would like to have an offshore escape property in addition to moving some assets offshore. One thing I don’t like is hot, humid, rainy weather, at least not most of the year. Is there a location or country with four seasons, with mountains, that is also desirable in general terms for expatriation? With those criteria, Chile stands head-and-shoulders above the competition. Since it stretches for an amazing 2,650 miles from north to south, it offers a wide variety of climates. You’ll find four seasons with no extreme weather in much of the country. The coastline is beautiful and dramatic, and the Andes Mountains will have snow in the winter and are dotted with natural lakes. Also, the economy is strong, and residency is simple and straightforward. As an aside, I’ll be in Chile this summer (December to January). Stay tuned for my reports from on the ground.